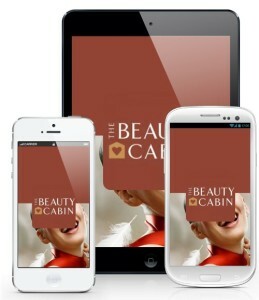 Introducing the BRAND NEW Beauty Cabin App, compatible with Iphone, Ipad , Android & Blackberry. We will be using this app to notify you of our special offers and of any space in the diary created by last minute cancellations etc. If you download the App you will receive an instant notification when we post anything new, so you will always be amongst the first to know if a last minute appointment becomes available for example. You can also access our ‘online shop’ through the App via the ‘About Us’ section to browse and purchase from our extensive product ranges of HD Brows, ESPA & Dermalogica (take a look at our exciting Christmas gift sets from ESPA). IMPORTANT!!! Once downloaded, remember to ‘Subscribe to Push News’ from the ‘Prices & Packages’ screen. This will add you to the list to receive ‘Notifications’ that we send out over the app (Special offers, appointment space etc). Simply downloading the App does not automatically sign you up!! !